The new Deniz sweater can be used as a top/mid layer depending on weather conditions. Benefiting from Insula technology, this top has the ability to regulate temperature by using heat from the body to warm up pockets within the fabric thereby retaining heat. This means that you can have a constant temperature throughout your round. The fabric used, which is 90% polyester/10% elastane, is also highly breathable so helps to maintain your comfort levels. 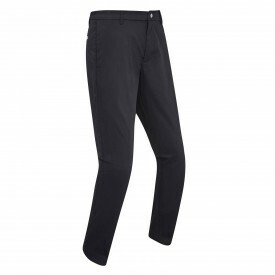 The fabric has stretch properties so this aids with unrestricted movement during the golf swing. This is a classically styled V neck sweater which comes in three traditional colours. It is available in sizes S to XXXL. It is a solid, top performing sweater that will look after you time and time again.